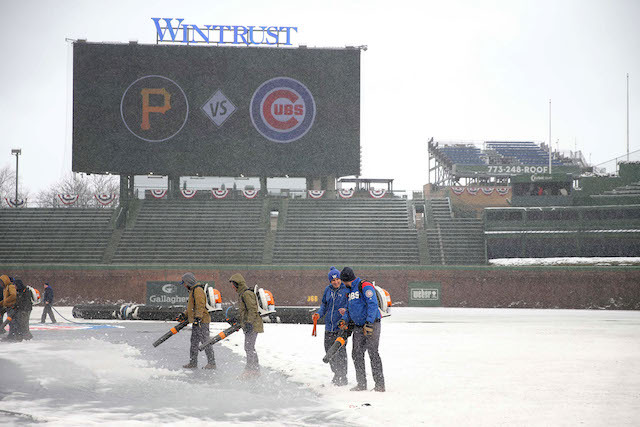 Chicago Cubs fans will have to wait until Tuesday for the home opener game against the Pittsburgh Pirates after the game was postponed due to snow, according to the Chicago Tribune. The game was originally scheduled to kick off Monday at 1:20 pm at Wrigley Field. When it became clear the weather was going to cause trouble, the game was pushed back one hour to handle the effects of the inclement weather as ground crews kicked into gear trying to get the field and stadium cleared of snow. 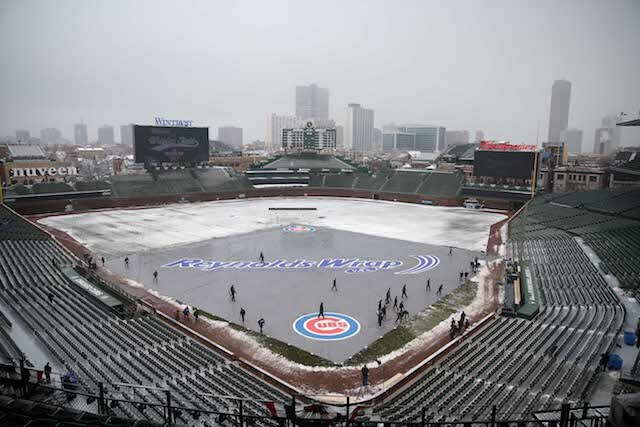 Today’s #Cubs home opener at #WrigleyField has been postponed due to ongoing inclement weather. A short time later, it was announced that the game was canceled and moved to Tuesday. A video posted by ESPN on Monday of Wrigley Field shows just how much snow was on the field. 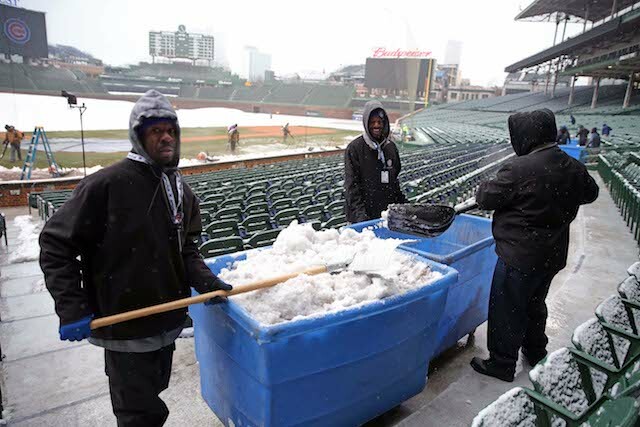 “It’s the Cubs’ home opener, and here’s what Wrigley Field looked like Monday morning,” the caption next to the clip read. 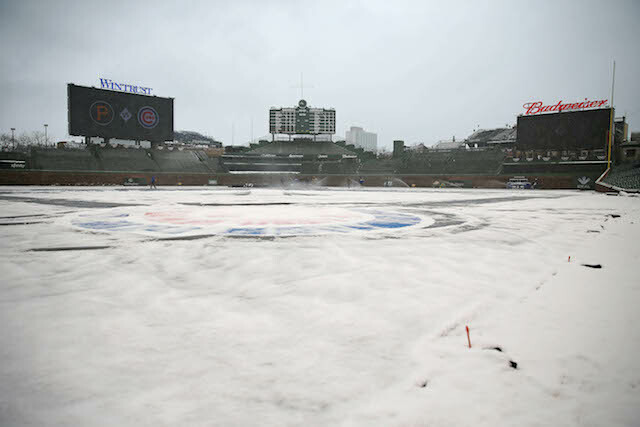 The Cubs postponement becomes the 11th one so far for the Major League Baseball 2018 season due to winter weather, according to SportsNet. On Tuesday, it will be Tyler Chatwood to start things off for the Cubs club, as first baseman Anthony Rizzo has missed the last three games due to stiffness in his back and wasn’t scheduled to start on Monday.